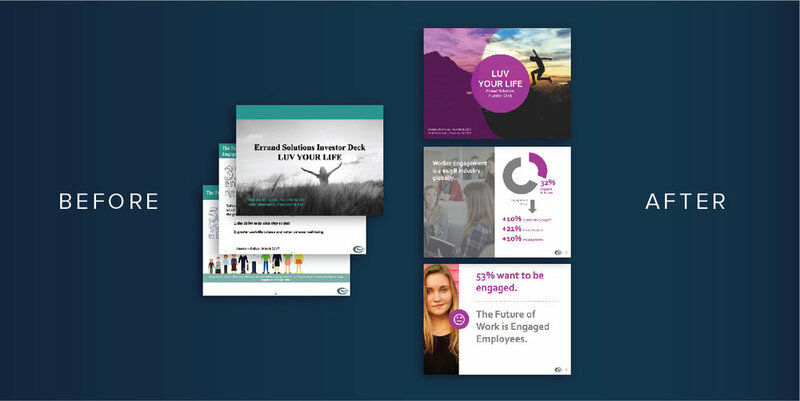 Our creatives take a client's content – no matter the level of refinement – and transform it into professionally designed marketing collateral, daily. From presentations to infographics to flyers, we take pride in the stunning, handcrafted assets our designers deliver right into the client's inbox. Below are a few of our many favorite projects. Blackbaud enlisted ConceptDrop to design an infographic tip sheet. We love the end result, which not only brought the content to life, but also incorporated the company’s strong, established brand into the design. Our technology matched their project with a freelancer specialized in information design for the best outcome possible. HyperSight submitted a presentation onto our platform to be redesigned. As you can see, the beginning deck was bland, with each slide looking almost exactly the same. The designer was able to create a beautiful, crisp deck at the intersection of agriculture and technology by keeping in mind this company’s industry when choosing images, icons, overlays, and other elements. Errand Solutions came to ConceptDrop in need of an investor deck. The designer took their content and transformed it into a powerful, eloquent presentation – all done in 48 hours. This project was another great example of the high quality of work our designers can deliver in a very quick turnaround. 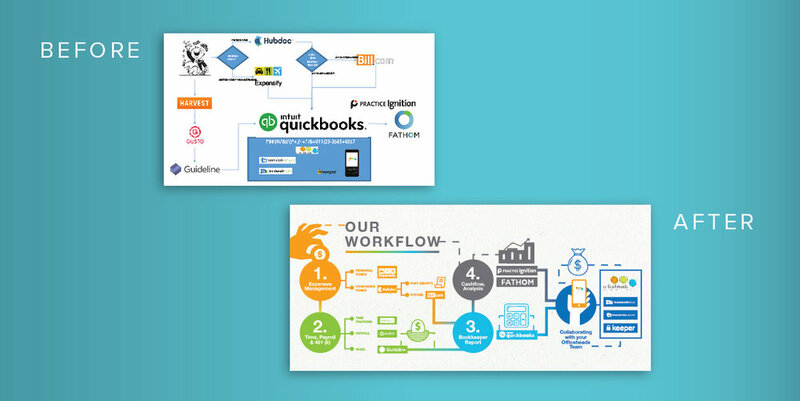 Officeheads needed an infographic in less than two days that simplified the various digital tools clients can use to manage their finances. As you can see, the workflow is quite complicated, but the designer was able to produce not only a simple, clear design, but an appealing, engaging one as well. We greatly appreciate the hard work our Creatives put in daily and are continually impressed with the designs and writing pieces they produce for clients. Interested in designing or writing for ConceptDrop? We're always looking for new creatives to join our team. Apply here.